For travelers seeking exclusive journeys to landmark destinations as well as the world's most exotic lands, tiny isles, and less-traveled waterways, Silversea is offering an unprecedented array of voyage options in 2016, all available for reservation today. Venetian World Cruise: Departing Fort Lauderdale on Jan. 5, this 115-day sailing will visit 51 destinations in 31 countries. It will follow a westward path through the Panama Canal to South America and the Pacific. Guests will explore the island paradises of the South Seas, including Easter Island, Pitcairn Island, Tahiti, and Bora Bora before sailing to the most desirable destinations of New Zealand, Australia, and Asia, including vibrant Hong Kong and Singapore, the enticing resorts of Bali and Phuket, and mysterious Myanmar. The odyssey will continue to exotic India, Arabia, and timeless Mediterranean hideaways before concluding with two nights in magnificent Venice. Circle South America: Silver Spirit departs Jan. 15 on a 66-day roundtrip Grand Voyage from Fort Lauderdale. Highlights include a crossing of the Panama Canal, two days cruising Chile's majestic fjords, a three-day stopover in Rio de Janeiro during Carnival, plus multi-day calls in Buenos Aires and Callao (gateway to Lima and Machu Picchu). • After a few years' absence, Silver Whisper returns to the North Cape with a 14-day roundtrip sailing from Copenhagen on June 17. Voyage 4613 spotlights some of Norways's most breathtaking scenery and includes a stop in the Arctic village of Honningsvag, gateway to the North Cape, Europe's northernmost point. Travelers to this region may observe the traditional customs and lifestyle of the indigenous Sami people and spot reindeer during the summer months. • Silver Spirit's Voyage 5613, sailing from Barcelona to Rome, will overnight in Cannes on May 25, during the city's famous film festival, and also overnight in Monte Carlo on May 28, during the Grand Prix. • Silver Wind will sail the Thames River to dock near (or depart from) Tower Bridge in the heart of historic London on six voyages (2617 - 2622) -- a journey most cruise ships are too large to navigate. 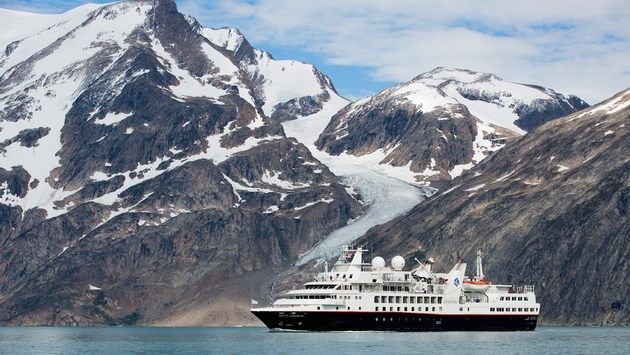 Silver Discoverer's six expedition cruises along Australia's Kimberley Coast from March to May highlight an exotic program that encompasses Africa, New Zealand, Indonesia, Melanesia, Micronesia, Russian Far East, and remote Alaska. On the schedule is a new 15-day, Phuket-to-Male sailing (9626) departing December 2 to explore Myanmar, India, Sri Lanka, and the Maldives. Plus, on Dec. 17, the ship departs Male on a new 17-day expedition (9627) to the Seychelles, Maldives, Mozambique, and Tanzania. Highlighting this voyage is an inaugural visit to Aldabra, an amazing raised coral atoll that has been designated a UNESCO World Heritage Site.